PMG On The Move: J Moss and 21:03 to go on tour in March! It’s March Madness! 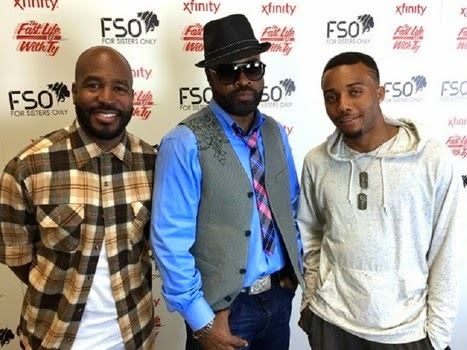 PMG Label’s , Billboard number one artist, J Moss , and Stellar Award winning duo, 21:03 , are set to hit the road on the “RV: Road Trip Promo Tour ” in support of their new projects, ‘ Grown Folks Gospel ‘ and ‘ Outsiders.’ The promo tour will be making stops stateside for the month of March 2015 . Fans in each city can look forward to the ‘ 21:03 After Party! ” in each city. 21:03 will get up close and personal with fans; and play exclusive music from their upcoming album, “Outsiders .” Additionally, both PMG artists will support their projects by visiting press and media at each tour stop. “I am excited about hitting the road and sharing the message of the gospel in a new way,” says, J Moss . J Moss’ new album, “Grown Folks Gospel ,” is currently available in stores and online now. Moss’ signature vocals can also be heard on the new radio favorite, ‘ Fall At Your Feet . 21:03’s , “Outsiders” EP will hit stores and online February 24, 2015 featuring 2play singles, “ A Friend” and “ Brand New Day” impacting radio now.